Kristian Ulrichsen believes that the politicians and planners behind the 2003 invasion ignored the lessons of the first British occupation of Iraq, which began with the capture of Baghdad from the Ottomans in 1917. 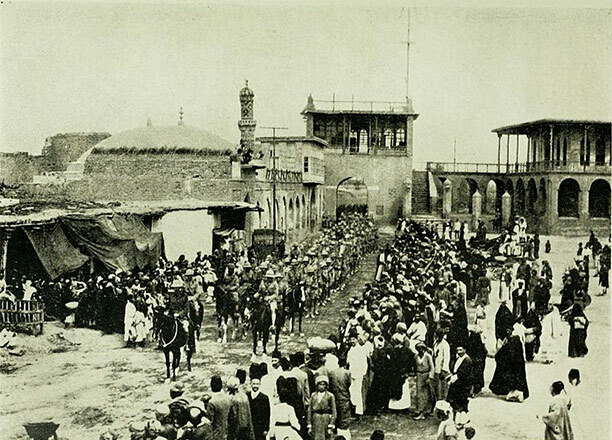 On March 11th, 1917, British and Indian soldiers of the Mesopotamian Expeditionary Force (MEF) marched into Baghdad and occupied it in order to restore order and halt the looting that had followed the city's evacuation by Ottoman forces the previous day. On March 12th, the War Cabinet in London authorized lieutenant-General Sir Stanley Maude, Commander-in-Chief of the MEF, to issue a proclamation to the inhabitants of Baghdad. This flowery document, drafted by Sir Mark Sykes in London, pledged that Our armies do not come into your cities and lands as conquerors or enemies, but as liberators'. The language is strikingly similar to the rhetoric employed to justify the invasion of Iraq in 2003, nine decades later.